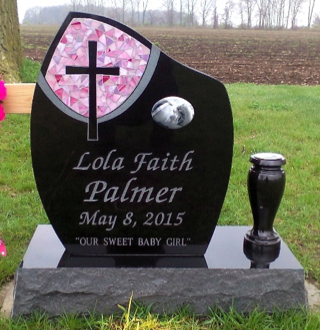 An individual granite memorial gives the family an opportunity to record the memories of their loved ones in many different ways. 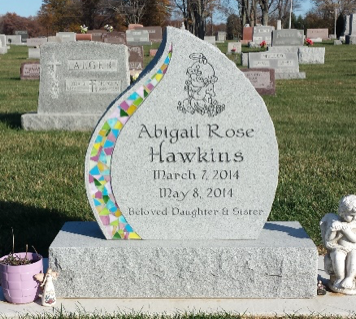 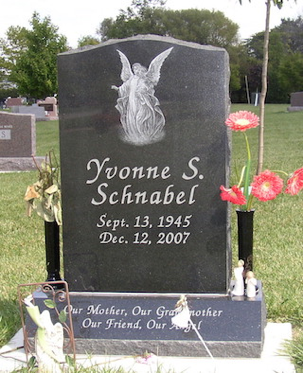 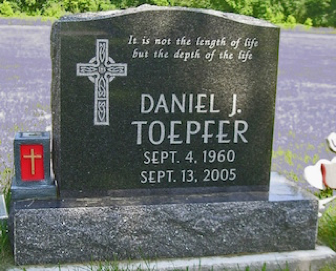 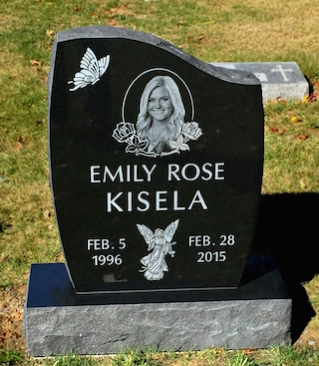 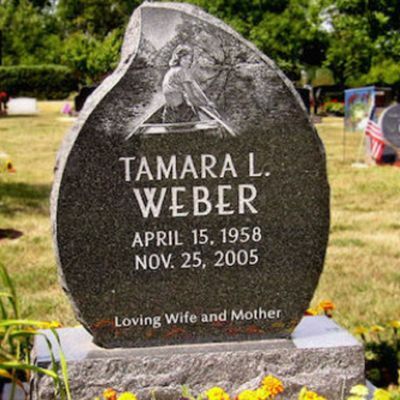 Individual memorials can be a "Story in Stone" with a simple design featuring names, dates and a personal epitaph. 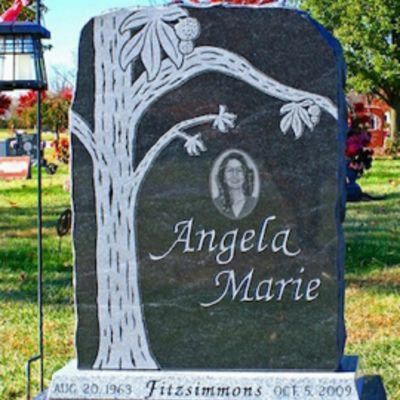 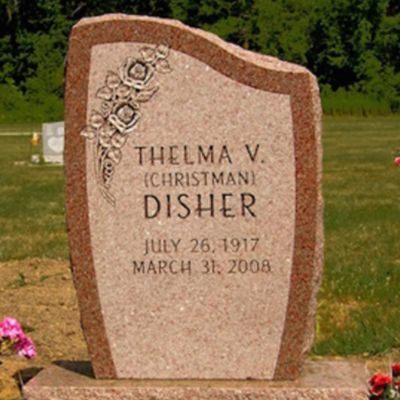 They can also have a personalized granite memorial design featuring bronze, a glass mosaic or a portrait hand-etched on a dark colored granite. 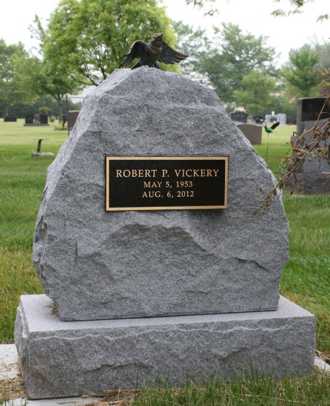 Let Ohio Monument create a personalized tribute in a granite memorial that will last for generations. 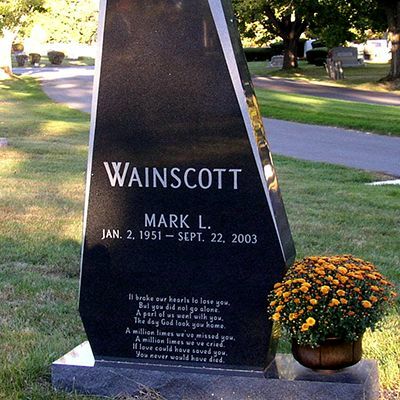 Single Monument Teardrop Shape In Gray Granite With Inlaid Mosaic Tiles. 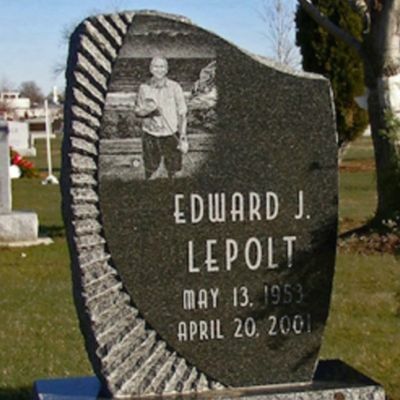 Single Monument Blue Granite With Celtic Cross Carving. 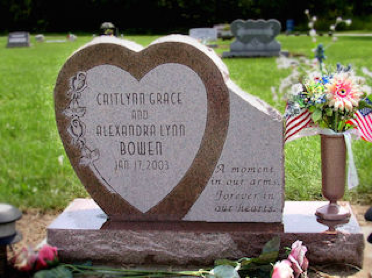 Americraft Memorials offers 100 years of combined experience to our surrounding communities. 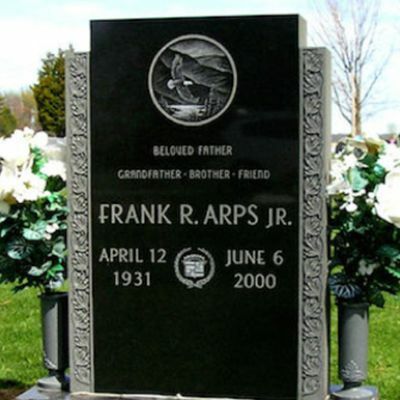 We have the knowledge and experience to help you preserve your family memories in stone. 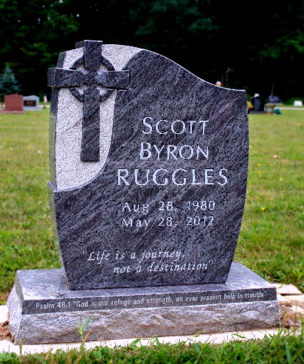 We know this process may be unfamiliar and challenging, and we want you to know that we are here to help you in any way that we can. 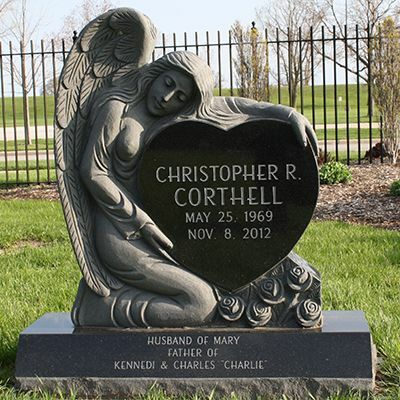 You are welcome to visit our studio, or we can to your home if that is more convenient for you. 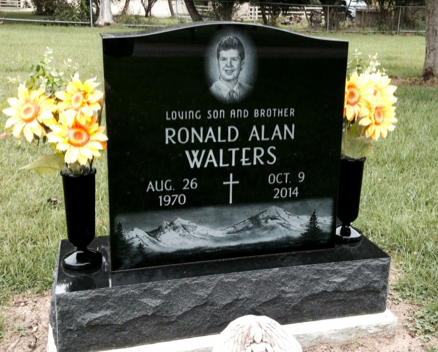 Please feel free to contact us with any questions concerning a memorial for loved ones in your family. 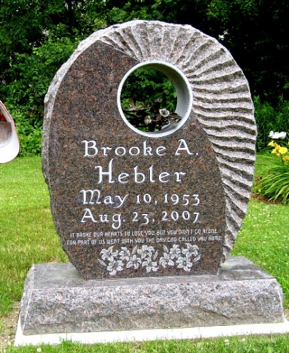 Our knowledgeable staff is able to answer your questions and work with you to find the best way to record your family’s memories in a granite memorial.